The Best Feng Shui Desk Tips For Career and Business Success. 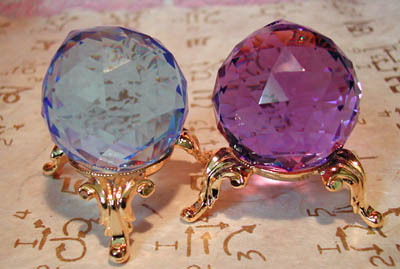 Feng Shui desk tips will help you to properly energize your desk for excellent work luck and overall well being. Second, based on Bagua colors and simple principles you decide and properly place items that need to stay on your desk permanently. This will make your desk powerful, organized and pleasure to sit at. Avoid keeping your business or personal checkbooks, credit cards or anything that symbolizes money going out in the Feng Shui Wealth area of your desk. This area is connected to your extended family and relatives. On professional level it includes employees and bosses or managements. You want to place here anything that symbolizes growth, stability and longevity. 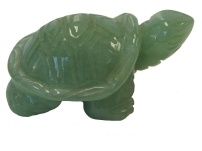 green object such as hand carved green Feng Shui Turtle that symbolizes family health and longevity. Researchers at the institute of Geobiology in Chardonne, Switzerland, tested employees who suffered from headaches and tiredness. Same employees felt much better after working for two years but with a cactus next to their computer monitor. Scientists believe this is due to the fact that cacti evolved extremely well to counter the effect of harsh solar radiation on the dessert. This area symbolizes professional improvement, education, becoming wiser and more accomplished. In your business it is connected to the good decision making, good information and data and quality resources. Color Blue in Feng Shui is used to gather the energy that helps to concentrate, study and focus on making wise decisions. You can further empower this area by placing a picture of accomplished, wise person, mentor or teacher that you highly admire in blue frame or background. your reputation - how your co-workers, boss and clients see you. If you are an business owner be sure to apply Feng Shui desk tips for protection as this area affects your business reputation that is hard to build and easy to damage. If you are aspiring artist, musician, model etc. you need to harmonize this area so it can attract public attentions and fame that you are seeking. 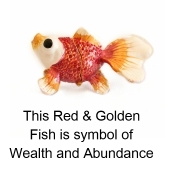 or this beautiful red/golden Goldfish which fits with Bagua colors of Fame and Health Guas of your desk. Feng Shui cures in this area can stimulate better stamina and focus and less tiredness while sitting for hours at your office desk. 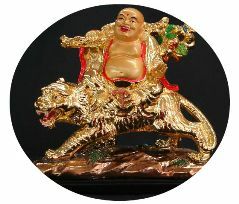 My all time favorite Feng Shui enhancement is Laughing Buddha on Tiger. I have this energetic Buddha placed right next to my yellow calendar on my desk. 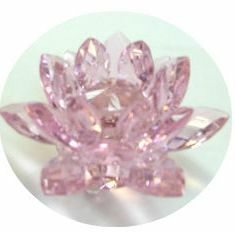 It is a very powerfull symbol of happiness, good health and wealth. The best way to enhance this area is with items in beautiful color yellow and earth tones. 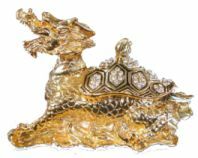 Another Feng Shui symbol of well being is Dragon Tortoise that attracts good health, courage and success. By far the best way that I found to improve my Work Feng Shui area is by placing a black color Earthing Pad on my desk. It serves two important purposes. First, color black greatly enhances this area of the desk for work success. Second, the Earthing Pad protects my health and energy while sitting for hours at my desk surrounded by devices (computer,Wi-Fi, cell phone, wireless products) that emit large amounts of harmful electromagnetic energy. Result is health and vital organs protection, better concentration and less tiredness at the end of the day. Health Warning For Ladies: Many women don't realize that by sitting daily for many hours next to the wireless keyboard, mouse or printer for instance, their breasts get exposed directly to the electromagnetic waves that easily penetrate body, all cells and harm DNA - which increases chances of breast cancer and other diseases. Even worst, many women are also wearing bra with metal wires lining the cups - in this case conductive metals are actually attracting much higher amounts of this dangerous radiation directly into the area around breasts, heart and liver as well. For more info you can watch short but useful video about electronic devices we use every day and read about the dangers of wired bra, article by Dr Mercola. This area is related to your relationships - whether it is personal relationship with your husband or partner. Or professional relationship with business partners or outside partnerships that are important for your business. To strengthen relationships with your business partners you can place brochures, photos, cards and information about your services and projects including information on your quality partners and suppliers on whom your excellent services rely on. This beautiful Feng Shui area of your desk is connected to your children - their health, happiness and progress. This area is also deeply connected to your creativity at work, ability to clearly communicate and explain yourself. The easiest way to enhance Children Feng Shui desk area is to use colors white and light gray. So any stacks of papers or projects you work with can be placed in this area of your desk as they all appear mostly white color. You can also use nice light/silver colored metal file holders or other objects as metal energy increases concentration and supports thinking and imagination. This Feng Shui area of your desk relates to your "helpers" and "guardian Angels". Enhance this area if you are looking for good suppliers, colleagues, employees,lawyers, accountants, benefactors and mentors. It is also a great area to enhance if you travel a lot or wish to travel. closely follow Sacred Ba-Gua Map suggestions especially about colors but use your creativity with enhancing items that you need on your desk and placing them in the correct Feng Shui area of your desk. Read more Feng Shui Desk Tips and Print Good Enhancement Bagua for all your Feng Shui needs.